In a painted sea, what to write? A letter taking tomorrow back? and began to talk foolishly. 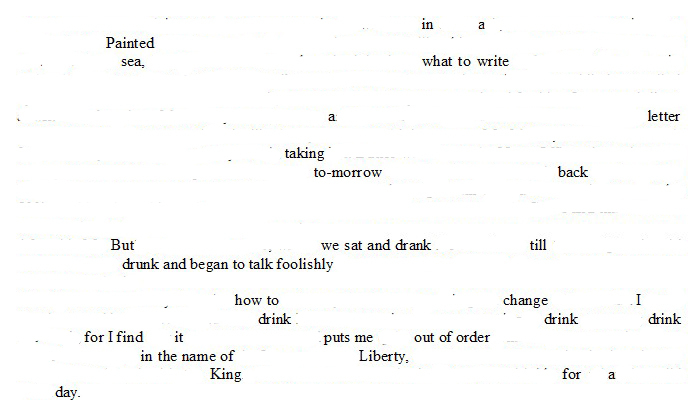 Erasure poem derived from The Diary of Samuel Pepys, Friday 9 March 1659/60.